How to create new Virtual Servers in Amazon Web Services? An AMI is a template that contains the software configuration (operating system, application server, and applications) required to launch your instance. You can select an AMI provided by AWS, our user community, or the AWS Marketplace; or you can select one of your own AMIs. Configure the instance to suit your requirements. 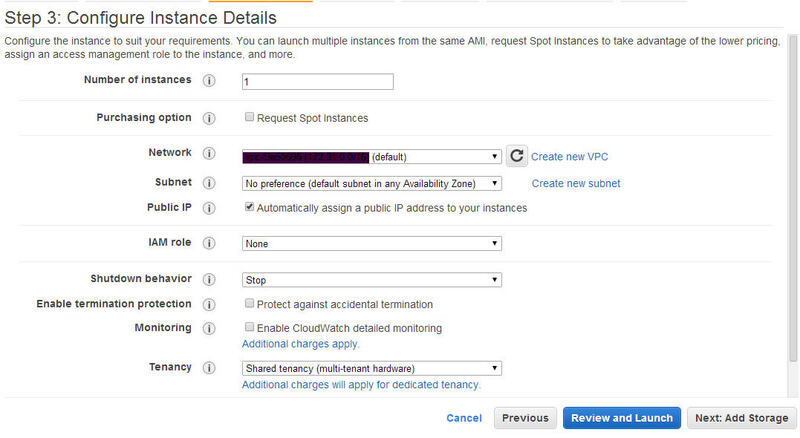 You can launch multiple instances from the same AMI, request Spot Instances to take advantage of the lower pricing, assign an access management role to the instance, and more. You can choose to launch more than one instance at a time. You have the option to request Spot Instances and specify the maximum price you are willing to pay per instance hour. If you bid higher than the current Spot Price, your Spot Instance is launched and will be charged at the current Spot Price. Spot Prices often are significantly lower than On-Demand prices, so using Spot Instances for flexible, interruption-tolerant applications can lower your instance costs by up to 90%. Learn more about Spot Instances. 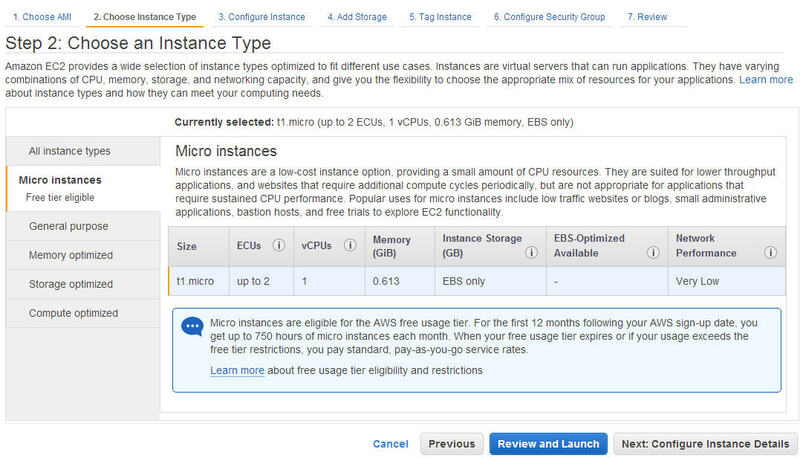 Launch your instance into an Amazon Virtual Private Cloud (VPC). You can create a VPC and select your own IP address range, create subnets, configure route tables, and configure network gateways. Learn more about Amazon VPC. A range of IP addresses in your VPC that can be used to isolate different EC2 resources from each other or from the Internet. Each subnet resides in one Availability Zone. Requests a public IP address from Amazon’s public IP address pool, to make your instance reachable from the Internet. In most cases, the public IP address is associated with the instance until it’s stopped or terminated, after which it’s no longer available for you to use. If you require a persistent public IP address that you can associate and disassociate at will, use an Elastic IP address (EIP) instead. You can allocate your own EIP, and associate it to your instance after launch. IAM roles for EC2 automatically deploys and rotates AWS credentials for you, removing the need to store your AWS access keys with your application. Learn more about IAM roles for EC2. Specify the instance behavior when an OS-level shutdown is performed. Instances can be either terminated or stopped. You can protect instances from being accidentally terminated. Once enabled, you won’t be able to terminate this instance via the API or the AWS Management Console until termination protection has been disabled. Your instance will be launched with the following storage device settings. You can attach additional EBS volumes and instance store volumes to your instance, or edit the settings of the root volume. You can also attach additional EBS volumes after launching an instance, but not instance store volumes. 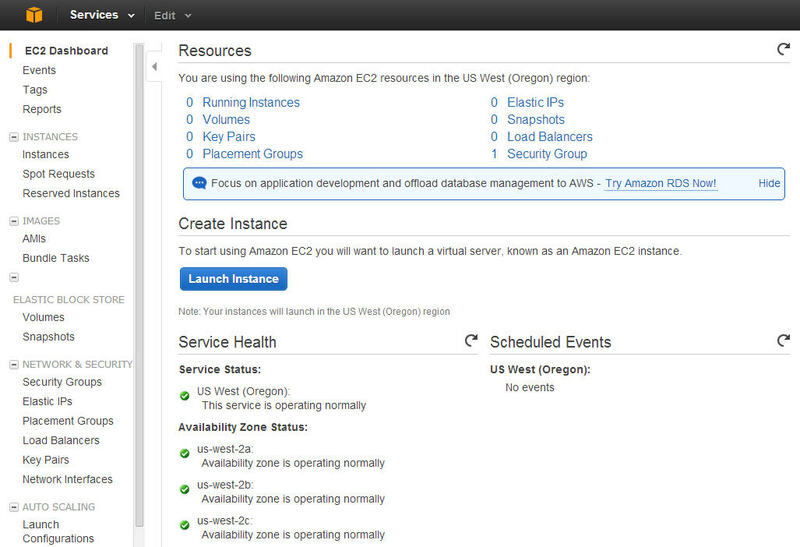 Learn more about storage options in Amazon EC2. A tag consists of a case-sensitive key-value pair. For example, you could define a tag with key = Name and value = Webserver. 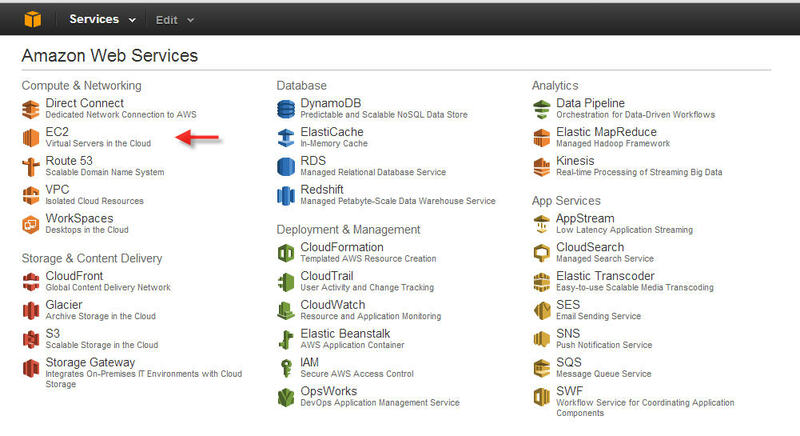 Learn more about tagging your Amazon EC2 resources. 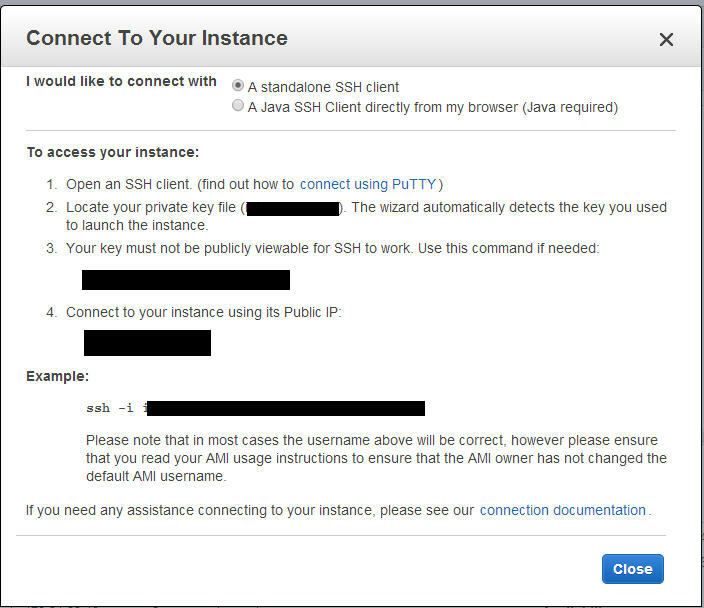 Locate your private key file (intercloud.pem). The wizard automatically detects the key you used to launch the instance. Learn how you can launch a Microsoft SharePoint 2010 server farm for a public facing website on Amazon Web Services (AWS) cloud infrastructure in 6 simple steps. This article provides all the necessary resources, including easy-to-launch AWS CloudFormation sample templates, and instructions on how to create Amazon Machine Images (AMIs) so that you can launch a fully functional highly-available Microsoft SharePoint 2010 server farm on AWS. If you have invested in virtualization to meet IT security, compliance, or configuration management requirements and are now looking at the cloud as the next step toward the future, I’ve got some good news for you. VM Import lets you bring existing VMware images (VMDK files) to Amazon EC2. You can import "system disks" containing bootable operating system images as well as data disks that are not meant to be booted.